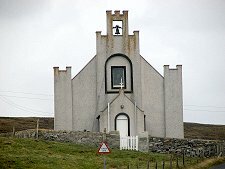 There are two regular monthly Masses outside of Lerwick: Voe Kirk, 5 miles south of Brae to serve the North Mainland and Yell; and Cullivoe Kirk, Yell, to serve the North Isles. 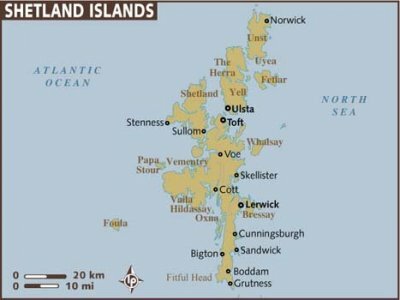 Other Masses can be arranged as needed, anywhere in Shetland, wherever a congregation of at least four people can be assured. 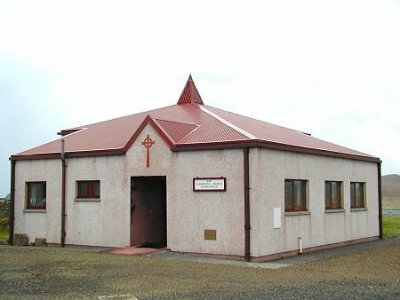 Mass is said in the Church of Scotland Voe Kirk one Sunday a month at 8.30 am. This Mass serves Catholics in the North Mainland and on Yell. 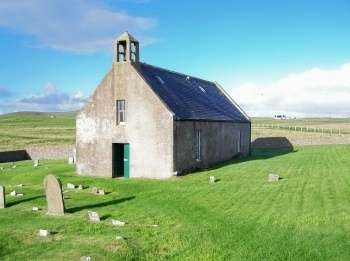 This church is scheduled for closure in 2019 and Masses will soon be transferred to Brae Kirk. 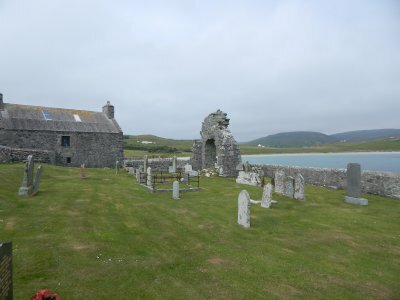 Next Mass: - 5th May 2019, 8.30 a.m.
We had our first North Isles Mass here on Sunday 13th January 2019. 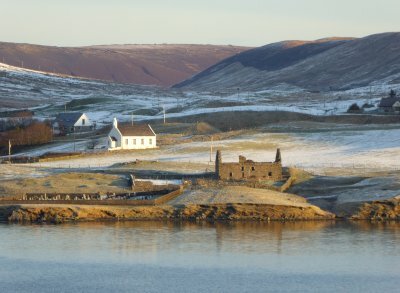 It is hoped that this will become a monthly event to serve parishioners on Yell, Fetlar and Unst. Mass was celebrated in the old Kirk on Papa Stour on Wednesday 28th February 2018 as part of a parish Lenten Retreat-Day, and on 5th December 2018 for an Advent Retreat Day. Next Mass: - Lent Retreat Day. Wednesday 10th April 2019. There was a Summer Pilgrimage Mass at the ruins of St Mary's Church, Sand (located in the cemetery beside Sand beach) on Tuesday 14th August, the Vigil of the Assumption of Our Lady. There are some pictures on the Photos page. 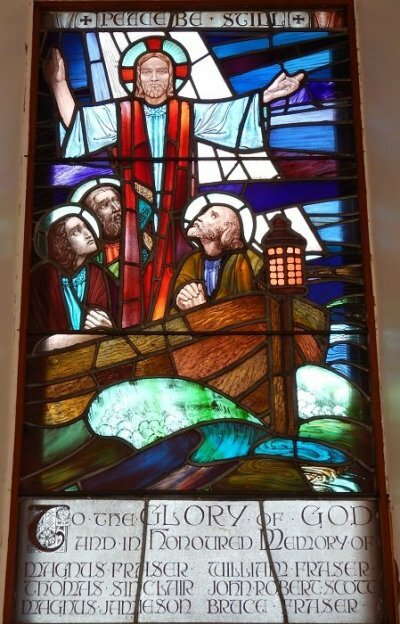 Mass was celebrated at Haroldswick Methodist Church on Sunday 22nd July 2018. Next Mass: - to be announced. 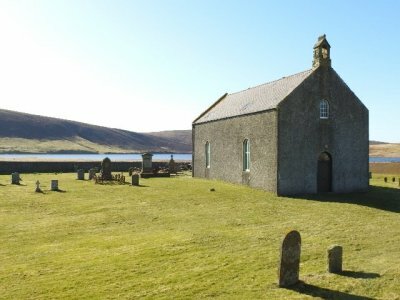 Mass was celebrated in the Kirk on Fetlar (North Isles) on Monday 30th April 2018.